Week 4 of the Zo Damage 365 Day Project features an epic run of gigs for Brunswick Music Festival at Estonia House with Tanzer, The RaAh Project, Mia Dyson and The Woohoo Revue. Week 4 also features Flour and Quarters sets at The Old Bar, War Hawk and Spacejunk at Last Chance Rock & Roll Bar, The Pöpli Kids at The Brunswick Hotel, the Yarra Banks Band at Bar 303 and Simona Castricum at The Tote. 17 March 2016 - Day 22/366 - Tanzer play Shadow Electric Estonian House for the Brunswick Music Festival. – Zo Damage 365 day live music photography project. View project HERE. Order prints HERE. 17 March 2016 - Day 22/366 - The RaAh Project play Shadow Electric Estonian House for the Brunswick Music Festival. 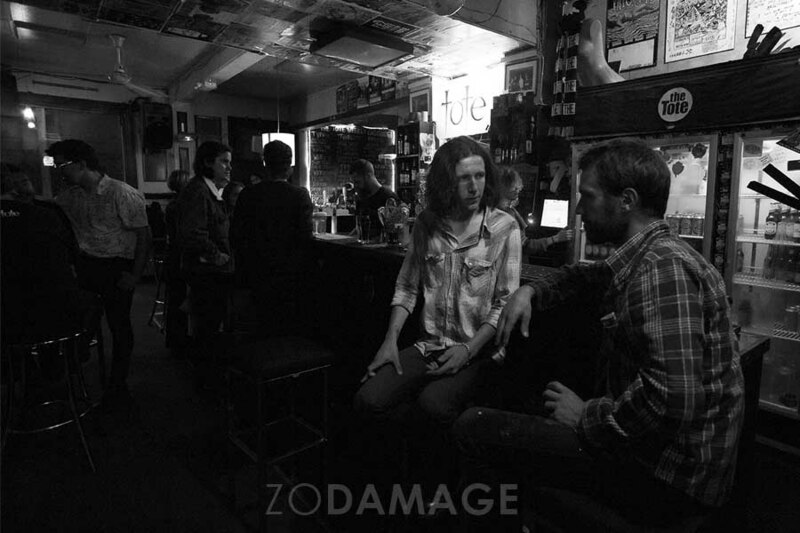 – Zo Damage 365 day live music photography project. View project HERE. Order prints HERE. 18 March 2016 - Day 23/366 - Mia Dyson plays Shadow Electric Estonian House for the Brunswick Music Festival. – Zo Damage 365 day live music photography project. View project HERE. Order prints HERE. 18 March 2016 - Day 23/366 - After shooting Mia Dyson at Estonian House I stopped to catch Vitruvian Man at The Last Chance Rock & Roll Bar in North Melbourne en-route to The Old Bar. 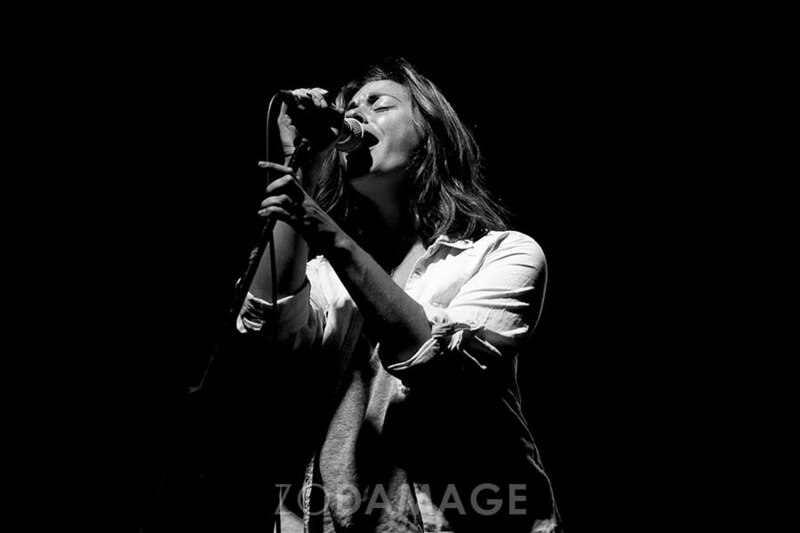 – Zo Damage 365 day live music photography project. View project HERE. Order prints HERE. 18 March 2016 - Day 23/366 - Flour at The Old Bar in Fitzroy. Last venue/gig for Day 23, and what a finish! 19 March 2016 - Day 24/366 - Sydney's War Hawk at The Last Chance Rock & Roll Bar in North Melbourne. 19 March 2016 - Day 24/366 - Spacejunk at The Last Chance Rock & Roll Bar in North Melbourne. An awesome gig to wrap up a big day. 19 March 2016 -Day 24/366 - The Woohoo Revue play Shadow Electric Estonian House for the Brunswick Music Festival. 20 March 2016 - Day 25/366 - Quarters at The Old Bar in Fitzroy. 21 March 2016 - Day 26/366 - Enjoying the late arvo sun with Joel and Matt before heading back to town to shoot the Day 26 gig. Not a bad place to hang right! . Tankerville recording session at Watermill Farm. 21 March 2016 - Day 26/366 - Exploring the farm with Joel and Chris before heading back to town to shoot a gig. Tankerville recording session at Watermill Farm. 21 March 2016 - Day 26/366 - An evening of jazz with Yarra Banks Jam at Bar 303 in Northcote. 22 March 2016 - Day 27/366 - The Pöpli Kids play the Brunswick Hotel, Brunswick. 23 March 2016 - Day 28/366 - Day's shoot is done and it's time to chill in the front bar at The Tote with Milo and Pirie. 23 March 2016 - Day 28/366 - Simona Castricum plays a high energy set at The Tote, Collingwood.